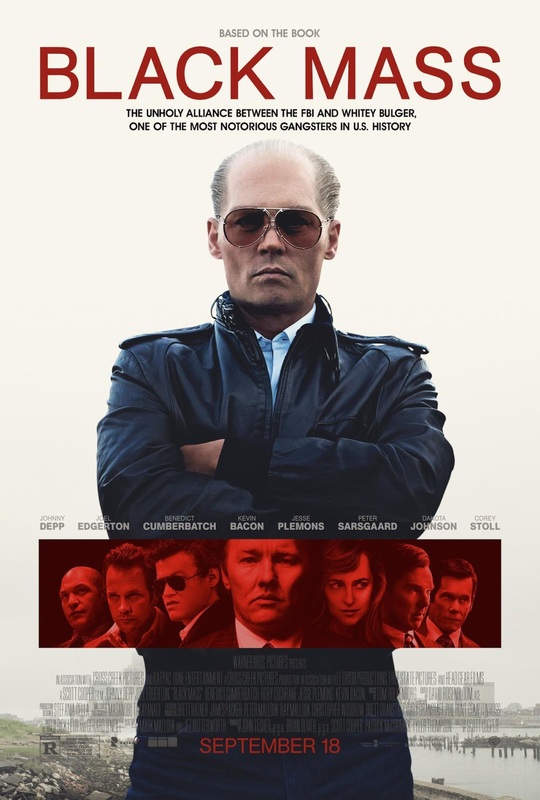 Black Mass is an engaging gangster film that’s gripping enough to keep your attention for most of its 2 hour run time. Its greatest assets are it’s actors with Johnny Depp delivering some of his best work in years. Depp is fully committed to the role, losing himself into it easily. It’s a fascinating character study and Depp’s performance gives the audience a strong sense of what the real man was like, to a chilling degree. Depp will be getting a lot of positive returns for his work but Joel Edgerton is just as good playing the FBI agent who partners with Bulger. Edgerton is an incredibly talented actor who easy to overlook because he eases into his characters so well. His turn here is fantastic giving you a strong sense of why the character’s broken logic made sense to him ultimately leading him to his downfall. Benedict Cumberbatch is a strong supporting character even if it takes a moment for your mind to wrap around his Boston accent which is great but sounds strange coming out of his mouth. Sadly, he’s under used and his character is underdeveloped. Scott Cooper does solid work throughout, keeping a steady pace but he can’t quite overcome the film’s biggest drawback which is something totally out of his control. In the end, it’s a well worn story that doesn’t deliver any surprises. It’s a strong film all around but it’s been done countless times.